Why It’s So Important To Take Full Advantage of Your Gym Membership. – The Capital Athletic Club | The Capital Athletic Club is Downtown Sacramento, California's Premier Full-Service Athletic Club that provides a variety of amenities including cardio and weight equipment, fitness classes, training, swimming pools, basketball courts, and services to help you be fit, healthy, and happy. Everyone has their own fitness interests that typically involve investing in a gym membership. Unless you’re outside the reach of a gym or health Club, even the outdoor enthusiasts find that they will need to supplement their hiking, swimming, paddling, and running adventures with resistance training and fitness instruction. It will be inevitable that you will eventually cave in and start shopping for a gym that’s right for you. Invest in Yourself: Depending on your budget, your gym should be a place that you spend the most time at beside home and work. Invest in a gym that you enjoy. You should enjoy the atmosphere, the people, the equipment, and the group classes if you are a Group Exercise student. 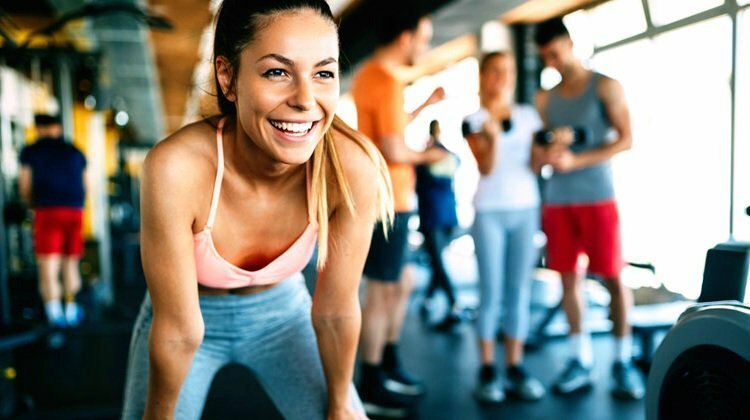 Improved Self-Esteem and Confidence: Although it may be scary to start working out at a new gym, especially if you are not completely confident in a gym, the more you utilize your gym membership and participate in the amenities, the more you will start to appreciate your progress physically and mentally. Results drive the mind and your progress doesn’t go unnoticed. Connect with a trainer to receive an orientation of the equipment. They will be happy to explain how the equipment is used and what may benefit your fitness program. Connection & Camaraderie: Making connections with other gym members in group class or in the weight room can result in new friendships. It is proven that connections with other members at your gym may increase your attendance and overall experience. Spark New Fitness Interests: Try a new class that you are considering, meet with a personal trainer to start a new fitness program, or maybe jump in the pool for lap swim! Your gym membership shouldn’t be limited to the amenities that you are only comfortable with. Your fitness awareness will improve when you experience new ways to exercise like a HIIT class or Pilates Reformer. Who knows, you may find a new activity that you fall in love with! Reliable Fitness Instruction: Personal trainers, group class instructors, and coaches are here to help you. They have been carefully selected to provide a standard level of fitness programming that we can’t always create by ourselves. Many gyms include personal training in the membership to create an initial program. The Capital Athletic Club includes 3 initial one-hour sessions for members to meet with a trainer and create a workout routine that matches their fitness interests and goals. Classes provide the same kind of structured exercise in a group, so you can join in on a workout that you can follow along to with others to encourage you! Increased Healthy Habits Outside of the Gym: It has been proven many times over that increased physical activity improves quality of life and promotes healthier habits. If you are consistently using your gym membership, you are more likely to be happier, have a better attitude at work and home, eat healthier, experience better sleep, be more productive, and increase more outdoor activity. Many fitness professionals believe in different fitness ideologies, but we are certain that anyone with a passion for fitness believes in variety and consistent change. If you are an individual that has invested in a gym/club membership, please take advantage of your options that your gym provides!